Absolutclick is an online ad network based in United States. The revenue models of this network are CPI, CPS, CPM, CPA and CPC. This ad network is specialized in adult niche. 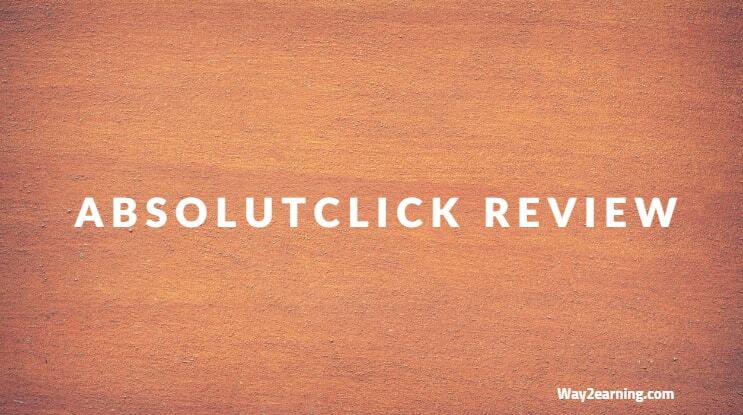 Absolutclick review websites of publishers before approving their accounts. They take some time for the review process. Apart from publishers, there are lot of offers for advertisers too. The publishers must not click ads on their own. You must not encourage users for clicking ads by offering money or gifts. Being a publisher, you must not use bots, PTC sites, auto refreshing sites and traffic exchanges to generate traffic. The publishers must not change ad codes. The publisher must not manipulate ad clicks or impressions. The publishers can have access to all sizes of banners for monetizing sites. This network offers both JS and Iframe tags to place on websites. Absolutclick pay its publishers on Net 30 basis. You must reach $10 to receive payment. The payment option is PayPal. The publishers can earn extra money by referring people to Absolutclick. The rate of commission is 10%. Timely payments: Absolutclick ad network pay its publishers on time. The publishers can track their clicks, conversions and revenue using real-time reporting system. Absolutclick network is ideal for adult traffic. However, the revenue purely depends on ad location, visitors location and quality of traffic. The Absolutclick publishers can share their experiences below. Hope this Absolutclick review help publishers to monetize sites. Webmasters Join This Ad Network And Start Making Money !